Over the last year, many young scholars and researchers have collaborated with the Research Centre for the Humanities (RCH) in order to conduct research at the partner institutions for the realization of the 1821 Digital Archive project. Anna Athanasouli was born in Athens in 1986. She graduated from the Department of International and European Studies of the Panteion University of Social and Political Sciences (2011) and received her MA in History from the University of Lausanne (2015). 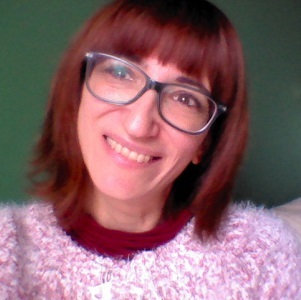 Since June 2017 she is a PhD candidate in Modern Greek History at the Faculty of History and Archaeology of the University of Crete. She has participated in the research project « The Greek Revolution of 1821: Digital Archive », Research Centre for the Humanities (RCH) (2017). 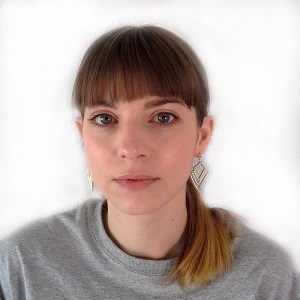 She is currently working as a research assistant at the Department of Neohellenic Research (Institute of Historical Research, National Hellenic Research Foundation). Stefanos Vamiedakis was born in Athens in 1978. In 2002 he obtained his BA degree in the Department of Philosophical and Social Studies, University of Crete. In 2009 he obtained his MA degree at University of Crete-Department of History and Archaeology, in the field of “Modern and Contemporary Greek and European History”. His master was about the labor policy of the first PASOK government, 1981-1985. Since 2012 he am a PhD candidate at University of Crete-Department of History and Archaeology, in the field of “Modern and Contemporary Greek and European History”. His thesis is about the labor relationships and the trade unions movement during the period of “Metapolitefsi”, 1974-1990. He is a collaborator of the Institute of Historical Research of the National Hellenic Research Foundation (IHR/NHRF) and of the Institute of Mediterranean Studies of the Foundation for Research and Technology-Hellas (IMS/FORTH). 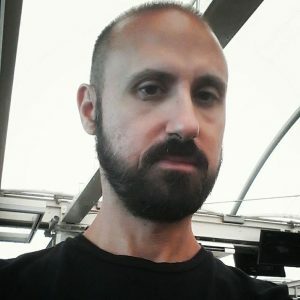 His professional activity includes several projects of archival identification, documentation and classification of the archival cultural heritage, the political history, the municipal archives, the industrial and business archives (19th-20th century).Since 2014 he is a collaborator of the E.J. Papadopoulos SA Biscuit & Food Products Manufacturing Company (project leader of the company’s’ historical archive). 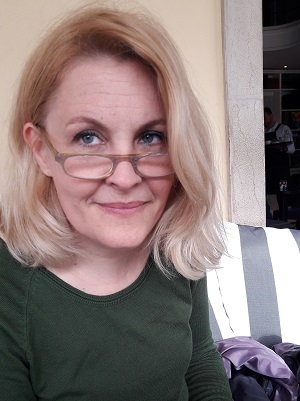 Research interests: labor relationships, trade unions history, labor history, local history, social history, economic history, industrial history. Stavros Grimanis was born at Athens in 1979. He has studied Philosophy, and holds a MA and a PhD in Byzantine Hagiographic Literature at the University of Athens (2011). He was a researcher at the Istituto Ellenico di Studi Bizantini e Postbizantini at Venice (2012-2015). He was a fellow of the Demos Foundation, working on a cataloging project for the manuscripts of the Gennadius Library at Athens (2017). 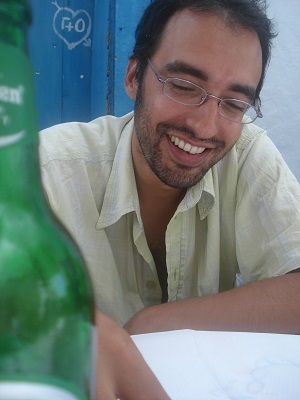 He is currently a Post-doctorate researcher at the Department of History at the University of Crete. The fields of his research are mainly the Byzantine Hagiographic Literature, and the Post-byzantine Literature and Cultural History. Sakis Dimitriadis was born in Athens, Greece in 1987. 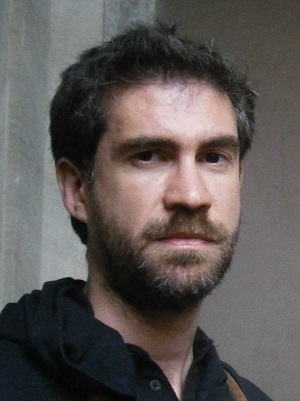 He has studied history at undergraduate and graduate levels at the University of Athens and the University of Sussex, specialising in the social and political history of the nineteenth century Greece; his Master’s thesis, submitted in 2011, explores the relationship between the transformation of political discourse and the rise of ideological politics in Greece during the years 1870-1890. As a PhD candidate at the University of Athens, he recently finished his dissertation on the large landed proprietors in the Greek island of Euboea between 1830 and 1910, the research for which was partially funded by the Onassis Foundation. Except for the project “The Greek Revolution of 1821: Digital Archive” of the Research Centre for the Humanities, he has also participated in research projects of the International Hellenic University and the University of Illinois at Urbana-Champaign. His main research interests include land tenure and land management in modern Greece, ethnic minorities in the 19th century Greece, political history and discourse analysis. Olga Evangelidou was born in Athens in 1988. 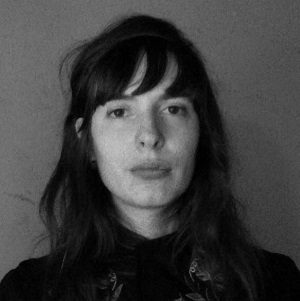 She is a Phd student at the Department of Theory and History of Art at the Athens School of Fine Arts since 2017. Her research is titled “The sartorial map of the revolutionist islands of the Aegean and the aesthetic ideals of the period (1789-1830)”. She is a graduate of the Visual Arts Department at the Athens School of Fine Arts (2006-2012), where she continued her studies in the Master’s Program (2014-2016), with the Onassis Foundation Scholarship (2015-16). In July 2016 she presented her thesis with the title “lekes”(=stain) and scored excellent “10”. Βetween 2012 and 2014, she followed classes for two years at the Fashion Department of the Royal Academy of Fine Arts in Artwerp (2012-2014), while in 2011 she gained the first prize at the contest of New Fashion designers (Next Generation) at the Athens Fashion Week. In 2012 she interned at the wardrobe department of the Greek National theater. She has participated in exhibitions and workshops in Greece and abroad. He was born in Athens in 1979. He graduated in 2005 from Mechanical Engineering department of School of Pedagogical and Technological Education. In 2015 he graduated with honors from Art Theory and History department of Athens School of Fine Arts. During the first semester of 2018 he devises his two dissertations: “The educational role of artwork reproductions in school textbooks. Semiotic approach” for Master’s in Education M.Ed of Hellenic Open University and “Examination levels of an artwork as a historical picture” for Master’s in Theory and History of Art of Athens School of Fine Arts. Since 2008 he works in schools of intermediate education in mechanical engineering specialties. Sotiris Koutmanis was born in January 1977 in Athens. He graduated in 2000 from the History-Archaeology Department of the Kapodistrian University of Athens. He continued his postgraduate studies in the same department in the field of Modern Greek History. During the period 2003-2006 he was a fellow of the Greek Institute of Byzantine and Post-Byzantine Studies of Venice. 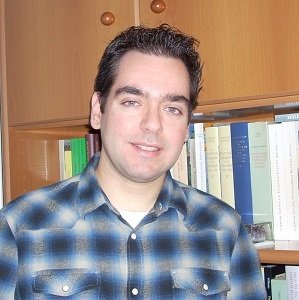 During the period 2008-2009 he worked on the classification of the Psycharis Archive. 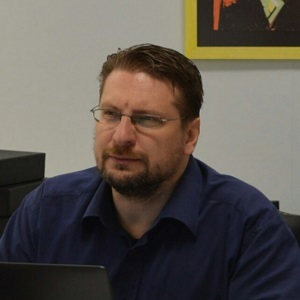 In 2010 he worked on the classification of the Historical Archive of Lefkada. In 2013, he obtained his PhD with the dissertation «Greeks in Venice in the 17th Century”. Since 2015 he works in the Telecommunications Museum OTE Archive. Vasilis Papadopoulos was born in 1977 in Chalkida. He graduated in 1999 from the History-Archaeology Department of the Kapodistrian University of Athens. He continued his postgraduate studies in the same department in the field of Modern Greek History, as well as in the Institute of Byzantine and Modern Greek Studies of the University of Vienna. During the period 2002-2004 and 2007-2013 he worked as a historian/researcher and copyrights administrator at the Foundation of the Hellenic World. During the period 2014-2015 he participated in the European program “Plato Academy”, in the applications “Encyclopedia of Philosophy” and “Navigator of Philosophy”. 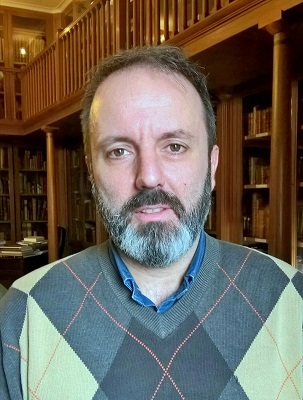 During the period 2015-2016 he worked in the scientific documentation of archival collections of the Research Centres of the Athens Academy and in the planning of the scientific content of the Digital Repository of the Athens Academy, in the project “Promoting the work of the Research Centres of the Athens Academy”. Marina Stolaki was born in Stuttgart in 1970. She studied History (1989 -1993) and Archival and Library Studies (2000-2004) at the Ionian University. She has collaborated as an archivist with the General State Archives (GAK), the Georgios A. Papandreou Foundation and the Gennadius Library where she received a fellowship from the Demos Foundation in order to construct a special collections inventory of all rare books from the Joannes Gennadius Library. From 2017 Marina Stolaki collaborates with the Research Centre for the Humanities (RCH) in order to conduct research at the General State Archives (GAK) for the realization of the 1821 Digital Archive project. Giorgos Tsiaples was born in Larissa, Greece, in 1975. Right after high school he studied Medieval and Modern Greek Literature in the University of Ioannina, Greece. 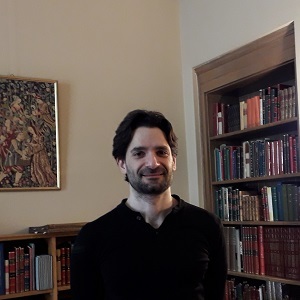 In 2004 he concluded his MSc studies and, having won a scholarship from the State Scholarships Foundation (IKY), he continued with his PhD research in Medieval Greek Literature in Aristotle University of Thessaloniki (Greece). In 2015 he received his PhD in Byzantine Literature. 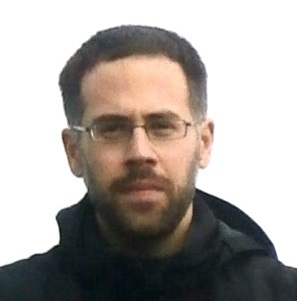 His research interests include Byzantine Hagiography, Palaeography and Historiography. Michael Festas was born in Athens in 1986. He graduated from the Faculty of History and Archaeology of the Philosophical Faculty of University of Athens: specialization in Archaeology 2009, in History 2011, ΜΑ in Modern Greek History 2014. Since Spring 2017 he is a Phd candidate of Modern Greek History at the same Faculty. He has worked in the field of environmental history in DARIAH-ATTIKH research programme, he has participated in organizing committees of historical conferences and his is member of the EMNE – Mnimon historical company. He works as a research assistant at the Department of Neohellenic Research (Institute of Historical Research, National Hellenic Research Foundation) and as a licensed tourist guide.